5 / 10 by 1 users Rate Now! : In 30 carefully constructed segments, Maison du bonheur paints an endearing picture of the everyday life of 77-year-old Juliane Sellam, a long-time resident of Paris. Alone in her Montmartre apartment, Sellam enjoys the little things in life. As we listen to her muse about her life as an astrologer, Sellam moves through her daily routine: making her morning coffee, watering plants, putting on makeup. Each segment is narrated by Sellam or the filmmaker herself, slowly constructing a dual portrait of two very different but equally charming women. In the restrained formalist style of Chantal Akerman and with the deeply personal approach of Agnès Varda, Sofia Bohdanowicz presents a unique voice that confirms her as a strong observer and artist of the everyday. 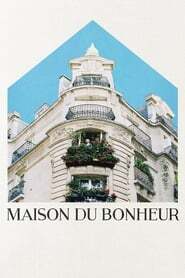 Maison du Bonheur is an experimental documentary rich in personal details, intelligent in its narration and playful in its tone.